The well is a familiar symbol in Myths and dreams. for a brand new Mindfunda Interview. The Well of remembrance is an exercise in ancestral remembrance -the kind of remembering that is the healing antidote to dis-membring"
is filled with stories and facts about the history of Europe. Mirmir was the guardian of the well of wisdom. The name Mirmir is related to the Latin word memor. Mirmir’s well is the well of remembrance. The aim of the book is to be a reminder of the importance of mythology in our critical times. Ralph explains in his book that the tribes that took over Europe had a civilization based on weapons, chariots and the taming of the horse. Their Gods and Goddesses where different from the rather peaceful hunter gatherers they submitted. The one-eyed Odin is the God that builds three bridges that link apparently irreconcilable differences. Differences between the old Land Gods of the early inhabitants and the Sky gods of the new tribes. The first myth about Odin as bridge-builder is the self sacrifice of hanging himself on the Yggdrasil, the World Tree. Here he gets the gift of nature: to see and interpret natural rhythms. In the second myth about Odin he sacrifices his eye to see how he can reconcile the war between the Aesir Sky gods and the Vanir land gods by creating a ritual of reconciliation. In the interview Ralph mentions that such rituals are so much-needed today in ordinary life as well as in politics. In the third myth about Odin he descends down the roots of the Yggdrasil, meets Mirmir and gives one eye to the water that feeds the World Tree. Loosing the ability to recognize depth, he gains inner vision. 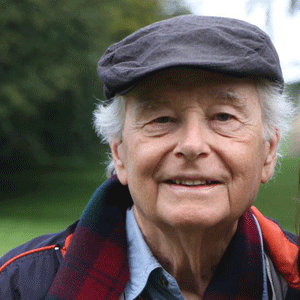 In my talk with him, Ralph Metzner emphasis that we should connect with the knowledge our ancestors. They wisper the stories you can only hear when you are at the foot of the World Tree Yggdrasil, diving in the emotional water of your past. The generations that lived before you, your ancestors can connect you with the Earth and all its wisdom. I will be uploading another very interesting interview on my YouTube channel soon. Jean Raffa author talks about her award winning book Healing the sacred divide so be sure to sign up!